There’s more, including a senator from Minnesota and a US Ambassador to Great Britain. By any standard, that’s an impressive list. What makes it truly mindboggling is one other fact: those are all the accomplishments of a single North Country native. Frank Billings Kellogg had such a varied, successful career that even an outline of his life is very impressive. He was born in Potsdam in December 1856, the son of Asa Farnsworth Kellogg and Abigail Billings Kellogg. The family moved to Long Lake, New York, in 1857, and then relocated west to a small farm in Minnesota in 1865. Five years later, Asa’s health problems forced fourteen-year-old Frank to quit school in order to run the farm. In 1872, the family moved to Olmsted County, where they assumed operations of a larger farm. These seemingly trivial events would play an important role in Kellogg’s career. In 1875, when he was nineteen, Frank left the farm and moved to nearby Rochester, Minnesota, where he ran errands and did chores in exchange for the opportunity to read and study law in a local office. He worked on nearby farms to support himself. Two years later, the young, self-taught lawyer was admitted to the bar, and within a year was appointed Rochester city attorney. In 1881, he became Olmsted County attorney, a position he held until 1887. During his tenure, Frank won an important case representing two townships against a railroad company, which helped establish his eventual career path. 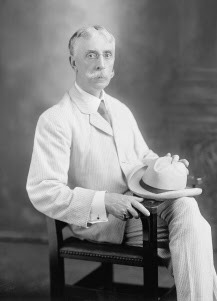 He married Clara Cook in 1886, and in the following year became a member of Davis, Kellogg, &amp- Severance, a new company that for decades remained one of the top corporate law firms in the Midwest. Among their clients were some of the most powerful businessmen and politicians in the country. 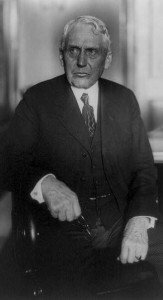 During the next several years, Teddy Roosevelt appointed him to similar ventures against several railroad trusts and Standard Oil, the massive corporation owned by J. D. Rockefeller, the world’s richest man. In each case, Kellogg won, enhancing his public image. His victory over Standard Oil solidified the perception that Frank was the nation’s top trust-buster. In 1912, he was elected president of the American Bar Association. 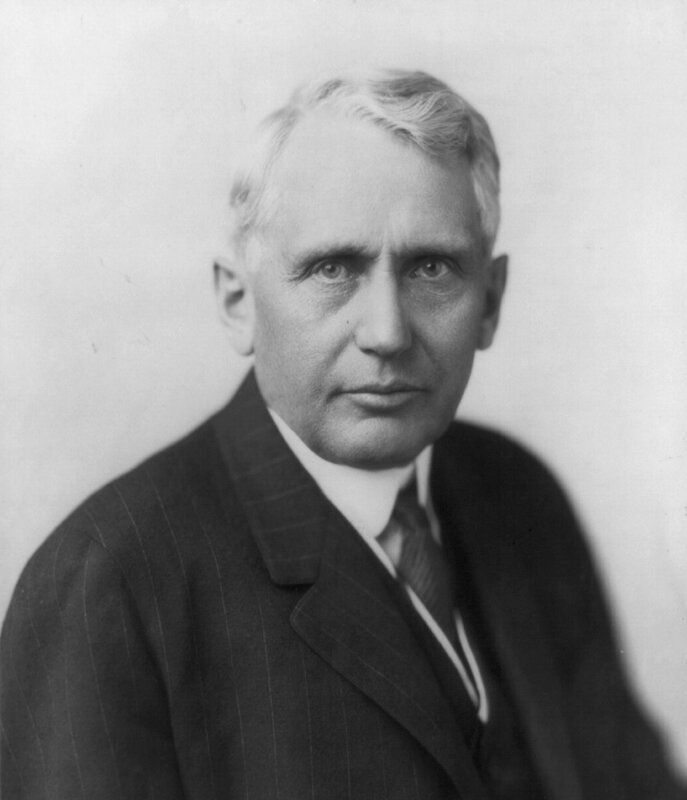 Kellogg left Republican ranks to support Roosevelt’s presidential campaign under the Progressive Party, but in 1916, he returned to the GOP and became the first Minnesota senator ever elected by popular vote. After serving for six years, Kellogg lost his re-election bid. In 1923, shortly after leaving office, he began his first diplomatic mission, having been assigned by President Harding to the Fifth Pan-American Conference, held in Chile. Harding died later that year, and when Kellogg returned, President Coolidge appointed him as US ambassador to Great Britain, a position he assumed for two years. In 1925, Coolidge named him Secretary of State, and through 1929 he represented American interests around the world. Kellogg was a strong proponent of arbitration rather than military involvement to settle international disputes. He signed a record number of treaties during his tenure (more than eighty). The most famous of all was the Pact of Paris, often referred to as the Kellogg–Briand Pact. In the years following the horrors of World War I, French Foreign Minister Aristide Brand called for a treaty with the US, specifically denouncing war. Kellogg was less than enthusiastic initially, and wary of making the US appear weak. He pushed the idea for all he was worth, and in August 1928, an agreement was signed. Eventually, more than 60 nations committed to the alliance. Though war continued in the years to come, Kellogg’s efforts were lauded by many as an honorable and honest attempt at eliminating war as a tool for settling differences. Until the signing of the Kellogg–Briand Pact, war had been accepted worldwide as a legal policy. There was no clause providing for punishment of violators, causing some to label the new pact as a futile effort. Others deemed it an idea well worth pursuing. After leaving office in 1929, Frank toured Europe and America, receiving many honorary degrees and other laurels for his work towards ending international conflict. In addition to the French Legion of Honor medal, he was awarded the Nobel Peace Prize in 1929. A year later, Kellogg was elected to the World Court, but resigned in 1935 due to health reasons. He passed away in St. Paul, Minnesota, on December 21, 1937, one day shy of his 81st birthday. Death spared him the great disappointment of seeing world war afflict the planet less than two years in the future. Though some dismissed his efforts for world peace as misguided and unrealistic, many others admired Kellogg’s adherence to a noble, worthy cause. To not pursue the opportunity would have meant giving up hope. And as a man who rose from the humble beginnings of a poor farm boy, a self-educated attorney who reached the top of his profession, and a man who performed for years on the world stage, Frank Kellogg knew a thing or two about hope. Photos: Frank Billings Kellogg (circa 1900)- in the East Room of the White House in 1929, standing are Calvin Coolidge, President Herbert Hoover, and Frank B. Kellogg, with representatives of the governments that ratified the Kellogg–Briand Pact- Frank Billings Kellogg (1912).